Here is part of a thank you message I received a few days ago. You sir have just made my day. Thank you so much. I really need to look at the functions that are right there under my nose!!! Thank you thank you thank you. THANK YOU!!! What did I do to get such a nice message? I simply showed this person that WordPress has a built-in audio player and an audio playlist generator. The interesting thing is this is not the first time I’ve had this type of conversation. For some reason, it seems quite common for people to immediately start searching outside of WordPress for special themes and plugins when WordPress might have exactly what you need already built in. For example, you don’t have to have an “ecommerce” theme in order to sell things on WordPress. You can easily add ecommerce functionality to any theme, including the theme you might ALREADY be running on your site. 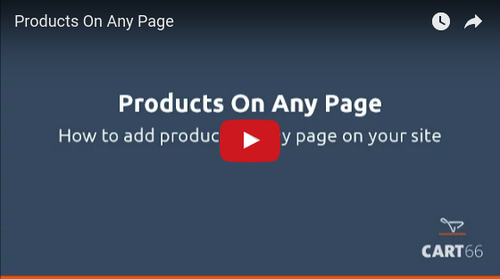 This quick video show how you can add products to any page of your site. It also shows how you can develop you site offline (like on MAMP). Another really common thing is people wanting to start accepting online donations. Again, no need to change themes or rebuild anything – you can just add the donation button to any page of your site. This video shows you a bunch of different layouts and ways you can accept donations with Cart66. Maybe you’re a musician and you want to sell your music on your website. You don’t have to hunt down an fancy music theme or find a music plugin to play your songs. 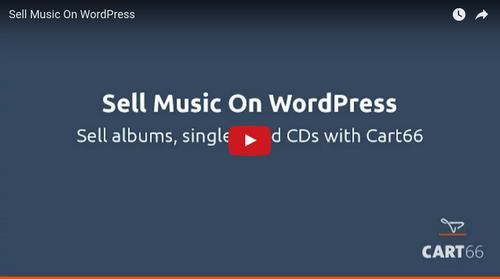 WordPress has a lot of great built in tools for sharing music and Cart66 brings all the ecommerce features you need. Another really common question is how to set up a product catalog with Cart66. It’s not very hard. Not only that, but you have a ton of flexibility with which products you want to show. 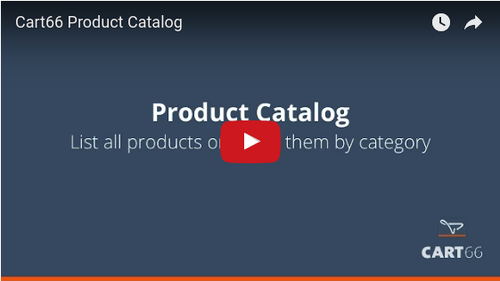 You can make a product catalog that lists one category of products or several related categories of products. You can also select how many products you want to show per page and how you want them sorted. 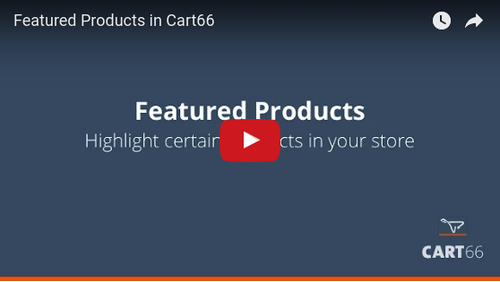 Here’s a quick video showing how to set up a product catalog in Cart66. In the same way you set up a product catalog, you can also set up a set of featured products. Featured products are essentially just a product catalog of products that you have assigned to a “featured” category. In Cart66, your products can belong to as many different categories as you’d like. So, if you want to feature a particular product, just assign it to the featured category. Here’s a quick video showing how that works. The big tip for this week is that the features you want may already be “right there under your nose.” One of the main design features of Cart66 is to let WordPress shine in the areas of content creation, design, and layout. Then Cart66 adds in the secure ecommerce features you need for a safe and reliable online shopping experience. Thanks for reading! If you have any questions, or if there’s anything I can do to help, just let me know.